As you can see on the main interface of this program, there is a "Record" tab on the left. 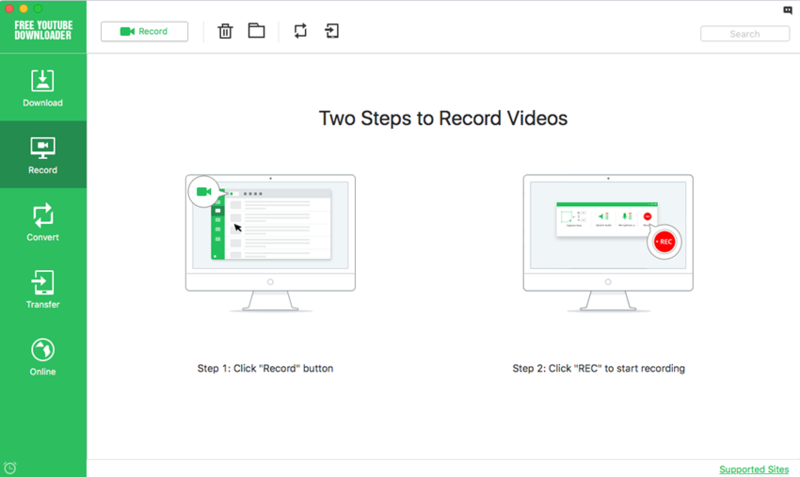 This function allows you to record those website videos which you can't download directly. However, Free YouTube Downloader for Mac doesn't support record funtion for now, please upgrade to Full version iTube Studio to active Record feature.